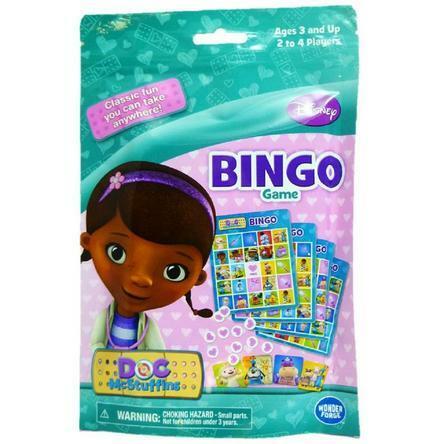 Disney Doc McStuffins Bingo Game Just $7.50! Down From $20! You are here: Home / Great Deals / Disney Doc McStuffins Bingo Game Just $7.50! Down From $20! Sears has this Disney Doc McStuffins Bingo Game on sale for just $7.50 (Reg. $20)! Plus you can FREE on orders over $35! Classic Bingo fun you can take anywhere. Doc McStuffins themed bingo cards. Includes 4 bingo boards, 30 picture cards, 60 tokens, & instructions. Comes in a resealable carry-all for easy travel.